I am so excited about purchasing the SEGMINISMART Jade Roller Massager for Face Anti Aging Gua Sha Scraping Massage Tool Set Therapy 100% Natural Jade Facial Roller Anti Wrinkle and Skin Rejuvenate! After using it the last couple of nights, I can already tell a difference! I only use the large roller on my face and neck after I apply my nighttime moisturizer. I can feel how much it helps the moisturizer absorb in my face and into any fine lines. It seems like even if I only use this roller a few times a week, I’ll really be able to see some great results over time! There are so many beauty tools out there, and for $13.99, I was willing to give a try. So far I am very pleased! 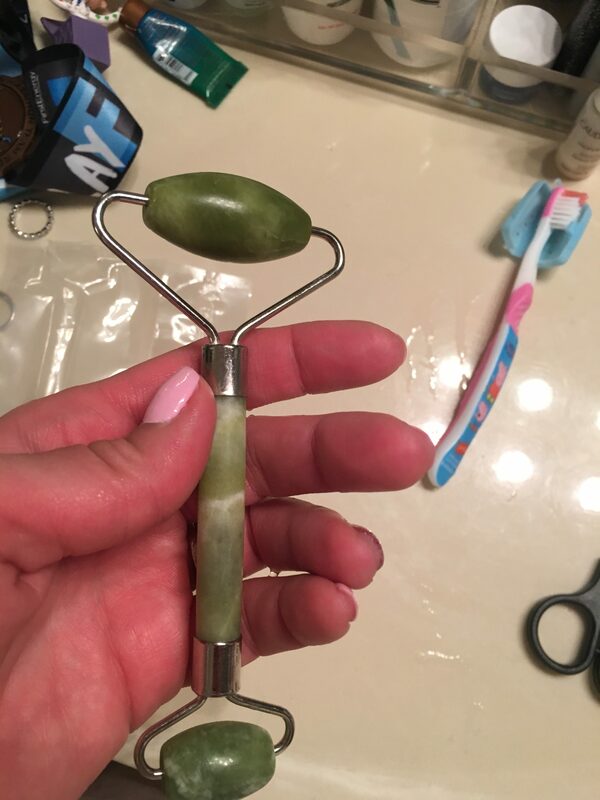 【100% NATURAL JADE STONES】 New face jade roller were made from 100% jade stone that came directly from the Great Himalaya range, the purest jade stone that cannot be found elsewhere. 【ANCIENT BEAUTY SECRET】 Using the cooling and healing therapeutic energy of Jade stone to promote blood circulation, diminish puffiness and bags under the eyes, detoxify through lymphatic drainage, improve skin elasticity and toning. 【ANTI-AGING SKINCARE MUST HAVE】 SegMiniSmart jade roller and gua sha set maximize the effect of facial serums and night creams by helping with absorption into your skin, so you can always look your best! 【DOUBLE-HEAD DESIGN】 Jade massage roller has a big roller and a small roller. The big roller always massage your face ,head and small roller suit massage nose, eye and so on.Applying barely any pressure, make you relaxing after work. 【100% MONEY BACK GUARANTEE】 We offer a 100% money back guarantee if you are not happy with our product. No question asked.